These are the issues that come up most commonly in editing. If you'd like to save yourself some time and effort later, you can look through your text for any of these you can weed out before submitting. Don't feel bad if you recognize them: you aren't the only one. It's especially difficult to catch your own mistakes, as you're thinking about so many different things at once while you're writing. Acronyms are all in capitals, but with no periods, according to The Chicago Manual of Style. “ASAP,” “ICU,” “ER,” and so on. Avoid passive voice. [This book was written by me] is passive. [I wrote this book] is active.) [Her eyes were pillowed by] is passive. By is your clue word for finding this and weeding it out. There are some words people reach for to sound writerly. Graced, bedecked, and adorned are signs of trouble—if you find yourself reaching for them, step back and figure out why, and write something better instead. Don’t let the language distract from the story. Avoid adverbs unless there is no other way to convey something. Try to use accurate verbs. This is the broader version of the rule to avoid “said bookisms,” which are things like ["I can’t believe he’s dead!” she said sadly]. (Or disbelievingly.) Only use an adverb if something is done in a surprising or unexpected way. [“I won the lottery,” he said sadly.] It comes down to having faith in yourself and specifically in your dialogue. Usually the dialogue itself tells us all we need to know about how it’s said. When there are only two speakers in a room, there is no need to aim the dialogue. “He said to me, ‘Go away.’” If there’s no one else around that he could be speaking to, the “to me” is redundant. Apostrophes are used in place of letters that are skipped. In you’re, it replaces the a of are. In you’ll, it replaces the wi of will. So when you get to the southern y’all, it isn’t ya’ll, because that would mean you is shortened to ya, and the ll would be read as short for will. The best spelling is y’all, where the apostrophe is replacing the ou of you. In any slang, the apostrophe replaces letters you’ve skipped. Anything involving phrases like [as you know] or [as you’re aware] should be left out. If the character already knows it, then there’s no reason for anyone to repeat it to them. If it’s information the reader needs, there are (other, more graceful) ways to supply it. People don’t often say it when talking to each other, outside of fiction. You can change things so the character doesn’t know, or have someone else ask about it, or any number of things, but saying it comes across as telling the reader to brace for an info-dump. Don’t use more words than necessary. Go through word by word and decide if there’s a shorter way to phrase something, or if any words are redundant. Names of plants and foods aren’t capitalized, even if they’re foreign. If you say one thing happened before another, tell the events in that chronological order. [Before he fell down, she hit him.] It covers the ground, but it’s needlessly confusing. [She hit him before he fell down] is in the right order. Or just say [She hit him. He fell down.]. 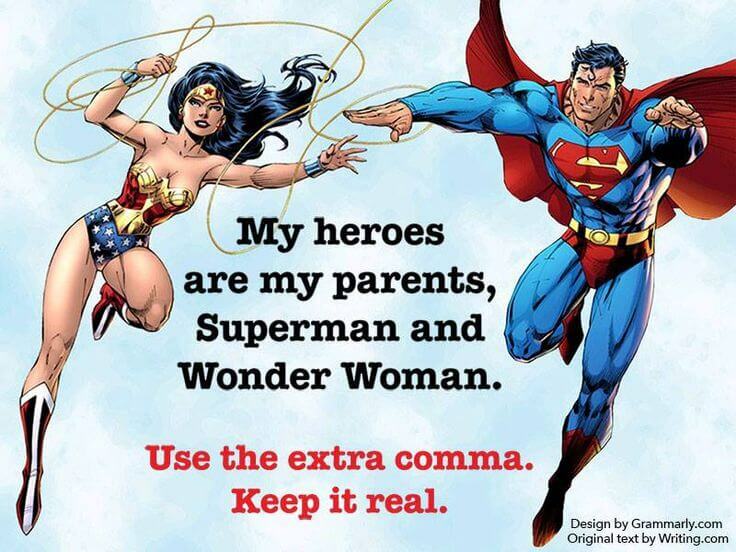 Use a comma before a conjunction between two independent clauses. If you have for, and, nor, but, or, yet, or so in the middle of the sentence, and you could replace it with a period and have two full sentences, then you need a comma before the conjunction. While it may be acceptable to use conjunctions (for, and, nor, but, or, yet, so) to start a sentence, don’t overdo it. It starts to sound like sentence fragments. Try especially hard not to overuse but. But needs to be rationed. Don't use it a lot in one speech, as it looks confused and indecisive. 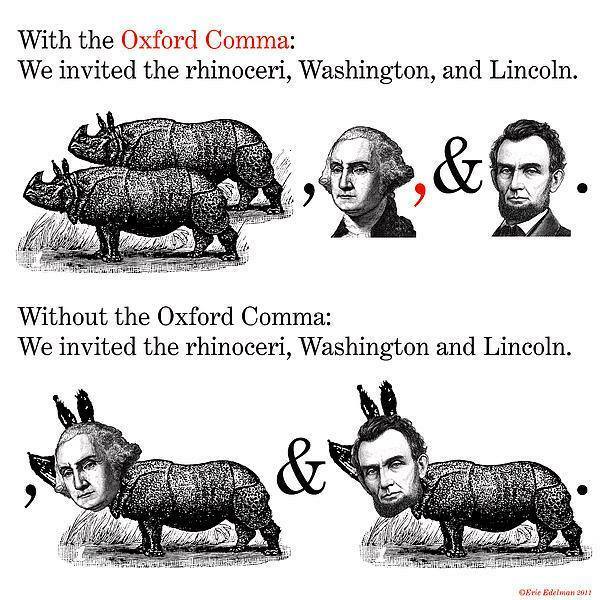 Never put a comma after a conjunction at the start of a sentence. Couple requires the word of after it, much the same way pair does. Two eggs are neither a pair eggs nor a couple eggs. Couple of eggs and pair of eggs are correct. If you’re going to describe something, commit. How someone dresses can sum up the person’s entire character, and a vividly described gesture can make dialogue superfluous. But if you have nothing to say, don’t just throw words at a void. [He wore a shirt and pants] only tells us he wasn’t going to be arrested for public indecency. Pro tip: If descriptions are your weakness, overcorrect. Pick a detail and obsess over it to the point of fetishizing it. Pretend to care. You can fool people into thinking you described the whole beach because you described the setting sun’s light on one shell. But if you’ve got nothing to say, don’t put words in just to fill space. If possible, don’t tag at all. Don’t go too long without a tag, however. If you need to tag, try to do it with an action rather than a tag. [Jerry shook the cage. “I never liked that hamster.”] Note: actions are not speech. Dialogue cannot be smiled, nodded, shrugged, enthused, etc. When you do need to tag, try to use said or asked. An ellipsis comes immediately after a word, with no space before it. There is a space after it these days, to prevent odd word-wrapping issues. Most of the time, the dash used in punctuation is an em-dash. The easiest way to get it in Word is to use two hyphens immediately after the first word, with no spaces, and the next word again has no space between it and the second hyphen. Then when you hit the spacebar after the second word, or use any type of punctuation, Word auto-corrects it to an em-dash. Reality can be as ridiculous as it likes, and nobody gets to demand it try again, and this time make more sense. But when writing fiction, we have to make it far more plausible than reality, because the reader comes in knowing that this is one big lie, and it’s an uphill battle to get them to buy in. On top of that, you won’t be there to assure every reader that “no, that really happened.” Once they start thinking it’s just gone too far, they can shut the book and put it back on the shelf, and you've lost them. Whenever possible, avoid “giving” and “making” things. LESS GOOD: He gave me a firm handshake. BETTER: He shook my hand firmly. LESS GOOD: He gave me a bright smile. LESS GOOD: She made a pout with her lips. Using here, now, and this in the narration are usually POV errors. If the story is told in first person, we know that anything on the page was seen or heard or felt by the narrator. [I hear the phone ring, and I see a girl pass on a bike] should be [A phone rings and a girl passes on a bike], for example. Italics are used to emphasize an occasional word in a sentence. If you want to emphasize the entire sentence, you use an exclamation point at the end, but no italics. When like can be replaced by as if or as though, it should be. As if is used when something can’t be true [He looked as if he’d eaten a bus], and as though when it is [He looked as though he’d eaten too much]. Looking to something means seeking guidance from it. Looking at something means to visually inspect it. Glance to isn’t standard usage outside of glancing in a particular direction [He glanced to the left]. Glancing to someone or something doesn’t really work. Keep an eye on how often you have characters using each other’s names in dialogue. In real life, people almost never use names when they’re speaking directly to someone. This is why you can have conversations with people at parties even if you don’t remember the person’s name. You can have characters use names very sparingly, but especially if someone’s in a hurry, it just doesn’t sound right. Making a sentence into one-word sentences for emphasis [This. Ends. Now.] is a new fad, and not accepted in fiction, so far. This is one of the main uses for an ellipsis. When there’s a list, the Chicago Manual of Style rule 6.18 is to put a comma before the conjunction at the end of a list of three or more things. 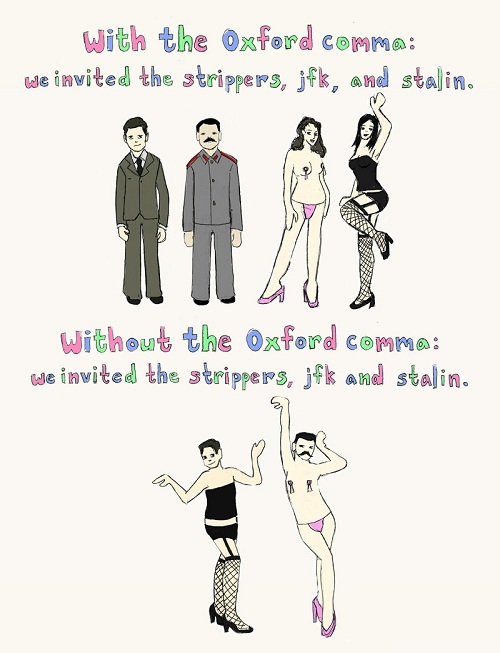 Examples that show why you need this comma: unlikely parents , rhinoceri , strippers , gay marriage . It was and there was are often called “particles,” because their only function is to get you to the verb. If they can be avoided, do so. “To be” is a dull verb, and can usually be replaced with something better, or removed entirely. This does not apply when it is being used as an auxiliary verb. There are times when avoiding it makes for an awkward sentence. Placing and walking are very deliberate actions, almost unnatural. You place an award reverently on a mantelpiece. It isn’t a casual movement. In the same way, very few people walk in books. They go, leave, come back, cross, move, etc. Those are all invisible, like using said and asked as invisible dialogue tags. No one notices them, and if you don’t need to convey a particular movement, it’s best to stick with the invisible options. Don’t use questions in the narration, if you can avoid it. They can make the reader wonder who is being asked, if the narrator is somehow aware of them, etc. Avoid research showcases. Do all the research you need and then some, but just because you’ve learned it doesn’t mean it has to be in the book. Be sparing with sentence fragments, or they lose their punch and begin to look more like mistakes. If a lot of the narration is written with them, it begins to look as if it were dialogue. Show, don’t tell. If you’re about to show us something, don’t tell us what it is first. Don’t tell us someone looked happy; say he smiled and his eyes lit up. Don’t say she looked sad; tell us she had tears in her eyes. Don’t say she looked embarrassed; tell us her face flushed and she couldn’t meet his eyes. If someone stammers or stutters something, write in the b-b-bit that has the st-st-stammer in it. It helps show exactly what they’re nervous about. Stick to one tense. If the story is told in past tense, keep things in past tense. If it is told in present tense, stick with that. When you have “there was” and “it was” in the middle of a sentence, look at it and see if the sentence would work just as well without them. I’d bet 80% of the time, it could. This would be a good thing to run a search on, and it’d lower your word count and therefore your price. That is used for restrictive clauses, without a comma before it. Which is used for nonrestrictive clauses, and requires a comma before it. But when you are talking about a person, use “who.” People aren’t things. “Scoff” is a tone of voice, not a sound by itself. Don’t use second person in narration. Whenever you say “you,” it distracts the reader from the story, reminding them they exist and aren’t actually participating in the fictional world, and it makes them wonder if the narrator is somehow aware of them. The trick to “you and I”: take off the “you” (or whatever other name it is). If you would say “me,” then it’s “you and me.” In a tricky case like “Between you and me,” you have to replace “between” with another preposition that doesn’t require two people, like “to.” So instead of “Between you and I,” you have “To I/me,” and since it would be “to me,” then the right version is “Between you and me.” People slip into saying “you and I” and “myself” when they want to sound writerly, and it’s contagious and still wrong. And with any rule, there will be exceptions. Breaking the rule can be the only way to get the effect you want. The key is to learn the rules and the reasons for them, and get used to the effects they have. Then you’ll know when you want to break them.